In The News - Our goats have been to five states at some really interesting places. This year we added state six, West Va. 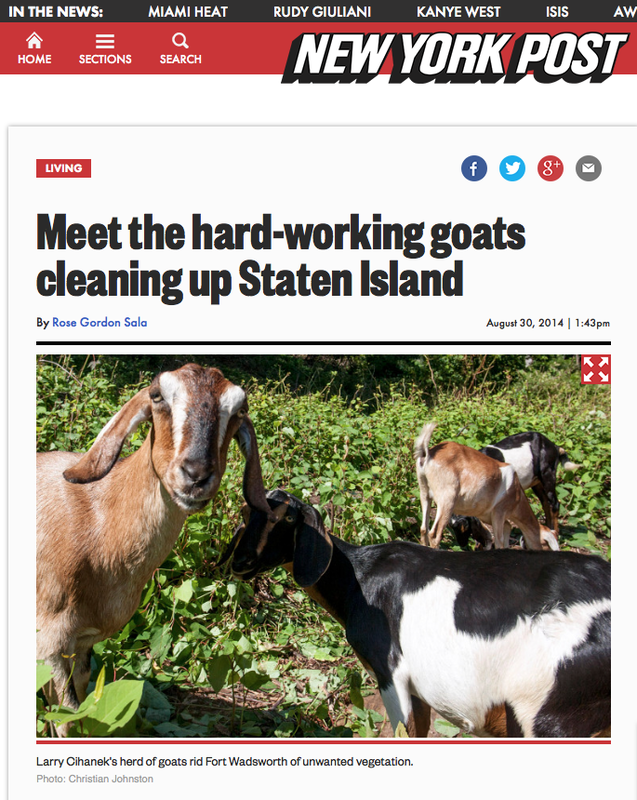 In August 2008 some of the goats caused quite a stir by sneaking into a restricted area under the Verrazano Bridge.